Harrylee and Patty Downing will be celebrating their 60th wedding anniversary on Monday, July 16. They were married in New Holland at the Christian Union Church. Rev. Charles (Bill) Ware performed the ceremony. Both are retired. They are the parents of Keith (Nancy) Downing, grandparents of Jayme (Adam) Holbrook and Joshua (Jenny) Downing, and great-grandparents to Austin and Aubree Holbrook. 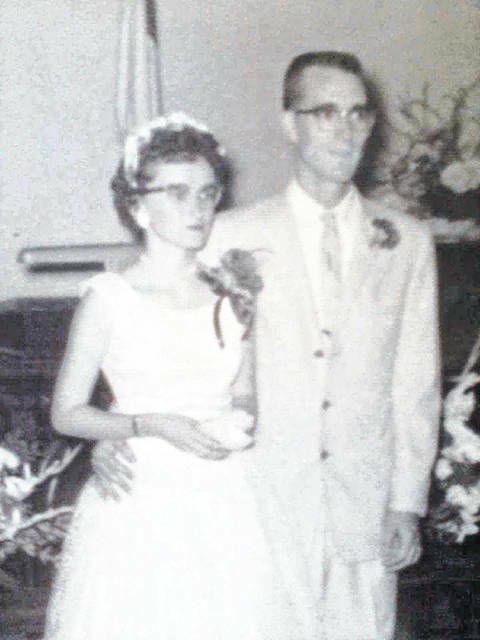 https://www.recordherald.com/wp-content/uploads/sites/27/2018/07/web1_aniversery.jpg2_.jpgHarrylee and Patty Downing will be celebrating their 60th wedding anniversary on Monday, July 16. They were married in New Holland at the Christian Union Church. Rev. Charles (Bill) Ware performed the ceremony. Both are retired. They are the parents of Keith (Nancy) Downing, grandparents of Jayme (Adam) Holbrook and Joshua (Jenny) Downing, and great-grandparents to Austin and Aubree Holbrook. 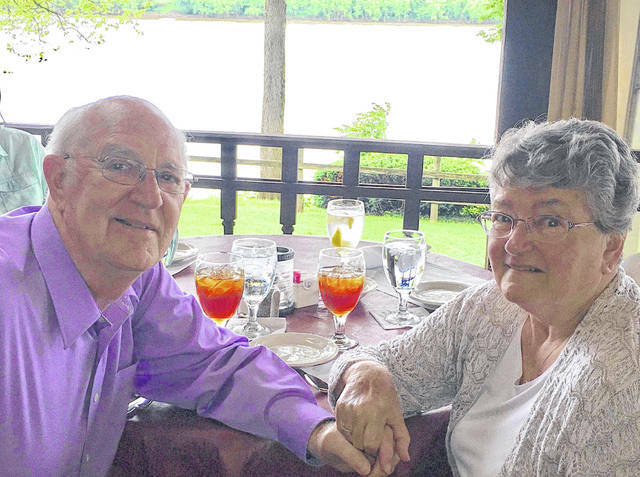 https://www.recordherald.com/wp-content/uploads/sites/27/2018/07/web1_aniversery.jpgHarrylee and Patty Downing will be celebrating their 60th wedding anniversary on Monday, July 16. They were married in New Holland at the Christian Union Church. Rev. Charles (Bill) Ware performed the ceremony. Both are retired. They are the parents of Keith (Nancy) Downing, grandparents of Jayme (Adam) Holbrook and Joshua (Jenny) Downing, and great-grandparents to Austin and Aubree Holbrook.